Dear Brother Knights, please find below a self-explanatory message from PGK Valens Almeida, Chair for the FAN event. Our Fraternal Activity Night (FAN) held on Tuesday, February 17th in our church hall was a great success. Your committee; Brothers Kelvin, Russell, Hilario, David and Alfredo had very little time to put this event together but we did it with conference calls and one face-to-face meeting. Way to pull things together team!! A total of 60 brothers and 7 guests (potential members) attended the evening for a variety of games, singing, food and good old celebration before Lent. Our District Deputy Joseph and PGK Marcel joined us for the evening. We opened with O’ Canada, followed by the Rosary song sung by Bro. Luis. Later PGK Marcel said grace before dinner and we dedicated one minute of silence for deceased brother knights and knights going through tough times. We collected 58.4 pounds of food (which the council will match by the same quantity), which was donated promptly to the Knights Table in Brampton who thanked us for our donation. All excess food remaining from the Communion Breakfast event was also donated to the same place. Let us all try to assist the needy by making donations of food during Lent and as we approach the Easter season. Thank you brothers for the donation. Thanks to our extended team DGK Patrick, Luis, Steve, John-Carlo, Wilson, Victor and Walter for assisting us with evening activities and sponsorships. Finally, thanks to the singers who serenaded us during the evening with their angelic voices. Brothers, FAN can only be successful with your participation so I encourage all of you to join us for the next event. The photos will be uploaded on the council's web site ( http://www.kofc12067.blogspot.ca/) for your viewing pleasure. God Bless! Dear Worthy Brothers, I am forwarding a self-explanatory message from Bro. 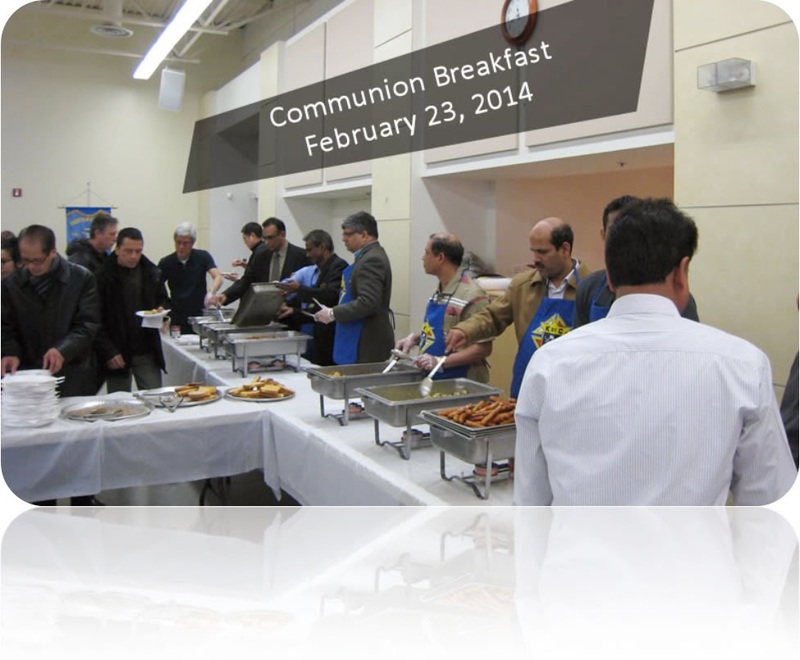 Kelvin Netto, Chair for the Communion Breakfast event held on Sunday, February 22. I would like to extend my grateful thanks to all the Brothers who helped with the Communion Breakfast. Brothers Simon, Jestin, Hilary Dsouza, Loy, Godfrey, Vivian, Priyal, Gabriel, Steve, Luis, Mike, Pepito – thank you very much. 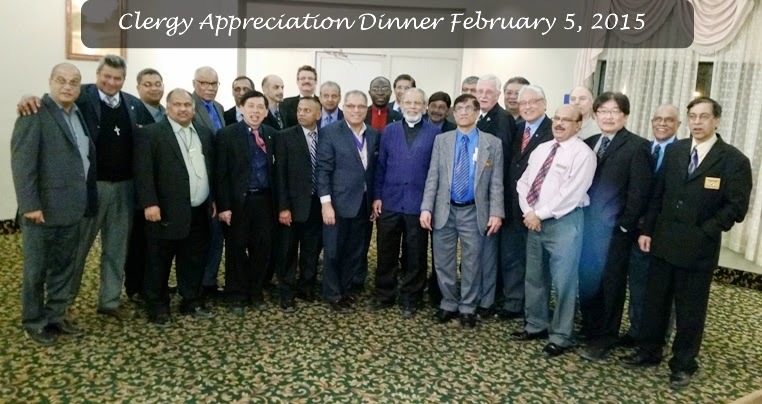 Thank you - Monsignor Pan and Father Susairaj, Worthy Grand Knight Edwin, Worthy Deputy Grand Knight Patrick for supporting and encouraging us all the way. As always, it was very heartening to see the enthusiasm, sacrifice and zeal of all Brothers, even at the unearthly hour of 6.00 am, on a very, very cold Sunday morning. Because of your selflessness and dedication, dear Brothers; we could provide a hospitable, warm and prayerful ambiance in the Church hall so that all Parishioners who came in had a sociable yet, blessed time. For this, may our good Lord and Blessed Mother bless you all and your families abundantly. Thank You to Brothers Hilary and Jestin who took time off their busy schedules on Saturday for purchase of all the groceries needed for the Breakfast. Thank You - Brothers Loy and Godfrey for cooking the superb breakfast (Brother Loy for all the kitchen and serving equipment lent to us). Thank You – to all Brothers who came in to prep for the breakfast, who helped with the kitchen duties, setting up of the hall, serving, cleaning up etc. Thank You - Brother Steve for setting up the sound system and for the beautiful music. Thank You - Brother Luis for setting up the slideshow and the meditative presentation of “Angels”. Thank You - Brother Knights who came in to support this event with their families. May God continue to bless and guide our council and Parish community. The Knights of Columbus-St. Francis Xavier Council is having their annual Communion Breakfast on Sunday, Feb 22 for the 9 a.m. and 10:30 a.m. Masses. All donations made at this event will be given to the Vita Center, Mississauga. 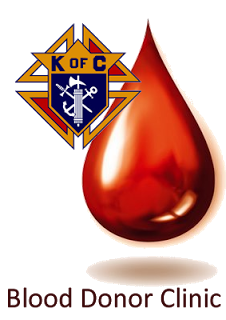 The Knights of Columbus will be hosting a Canadian Blood Services blood donor clinic in the Church Hall again on Saturday, the 21st of February, 2015. Members of the Knights of Columbus will be at the back of the church, after weekend Masses prior to the clinic date, to assist those who wish to sign-up to donate. CLINIC TIME: 10.00 a.m. – 1.00 p.m.
Our Roses for Life campaign the weekend of Jan 24/25 generated a record $975 in donations. Our grateful thanks to Bro. Mike Hessing, Spiritual Director and Chair for this campaign and to the knights who assisted. Carmel Heights-Seniors Bingo on Jan 29. Despite the inclement weather thank you to the brother knights who supported Patrick Bajcar, DGK with the bingo and playing live music for the seniors. 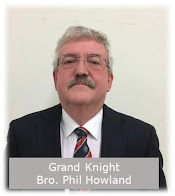 First Degree Exemplification on Jan 24. There were 17 candidates of which 5 were from our council. Feedback was great which comes as no surprise with our super First Degree Team headed by IPGK Joseph Remedios and his team. Thank you First Degree Team, to FBA Alan Pires who is also our membership director and to the knights who sponsored the candidates. Donation of $3,000 to the St. Francis Xavier Church-Building Debt Reduction. Our Fraternal Activity Night (FAN) to be held on Tuesday, February 17th starting at 7:00 pm in our church hall. This event will only cost you $6 for a fun filled evening with snacks, drinks, dinner, games and music. You are encouraged to bring along a guest who is not a Knight and the first 40 guests are free of charge. After we have reached our cap of 40 guests we will accept additional guest at $6/person. Please confirm your participation + that of your guest to PGK Valens Almeida, Chair at 905-507-8773 and leave a message with name. Remember this is a membership drive so encourage you to bring guests. Please also bring along a non-perishable can of food which the council will donate to a Mississauga based food bank. For every donated item, the council will match it.